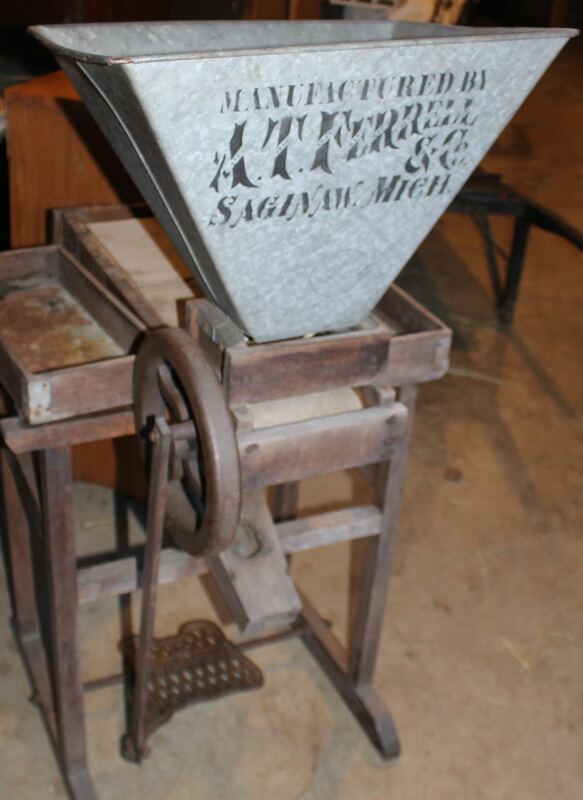 This seed separator would look great in country kitchen or in a country store. Seed separators were used to separate seeds from chaff. With a cast iron pedal and original lettering. Excellent condition.